Lowell “Chiv” Kever, 82, of Van Wert died at 9:43 p.m., Saturday at Van Wert Health. He was born on October 29, 1936, in Convoy, Ohio, the son of the late Marlin Aaron and Cleo Esther (Ramsey) Kever. On November 16, 1957, he married the former Janet M. Slane who survives. Other family members include his daughter, Michelle "Chelle" Gehres of Convoy; a son, Gregory (Tami) Kever of Versailles, Kentucky; five grandchildren, Justin (Amanda) Gehres, Jared (Angie) Gehres, Courtney (Chris Ashton) Gehres, Sam Kever and Andy Kever; and five great grandchildren, Ryan, Parker, Gavin, Elijah and Graceson Gehres. Besides his parents, Chiv was preceded in death by a brother, Marvin K. Kever; a sister, Jean Speelman; a grandson, Evan Kever; and his son-in-law, Glenn Gehres. Chiv retired from Navistar International with 43 years of service as a pattern maker and in the APA Department. He was a member of the Convoy United Methodist Church. He was also a member of the Van Wert Elks Lodge, Sons of the American Legion, and the Veterans of Foreign Wars Post 5803, Van Wert. 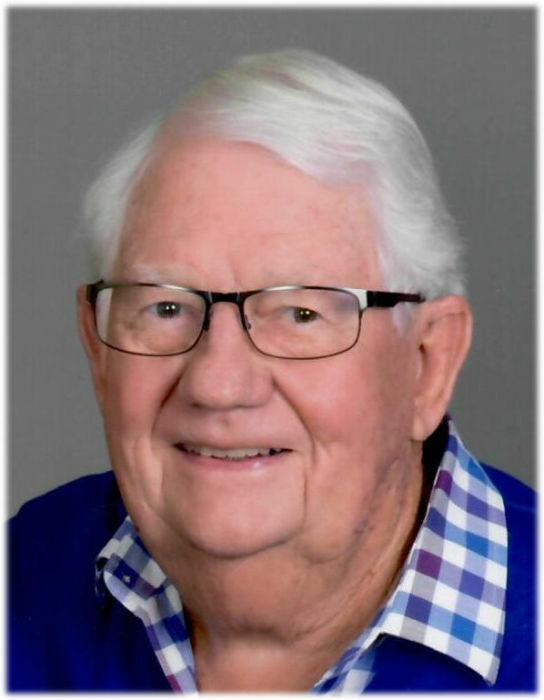 He enjoyed golfing, woodworking, and especially spending time with his grandkids. Services will be held at 11 a.m., Wednesday, November 28, 2018, at the Convoy United Methodist Church with Pastor Bill Thomas officiating. Interment will follow at Convoy I.O.O.F. Cemetery. Calling hours are 3 - 8 p.m., Tuesday at Cowan & Son Funeral Home and one hour prior to services Wednesday at the Church. Preferred memorials are to the Convoy United Methodist Church.